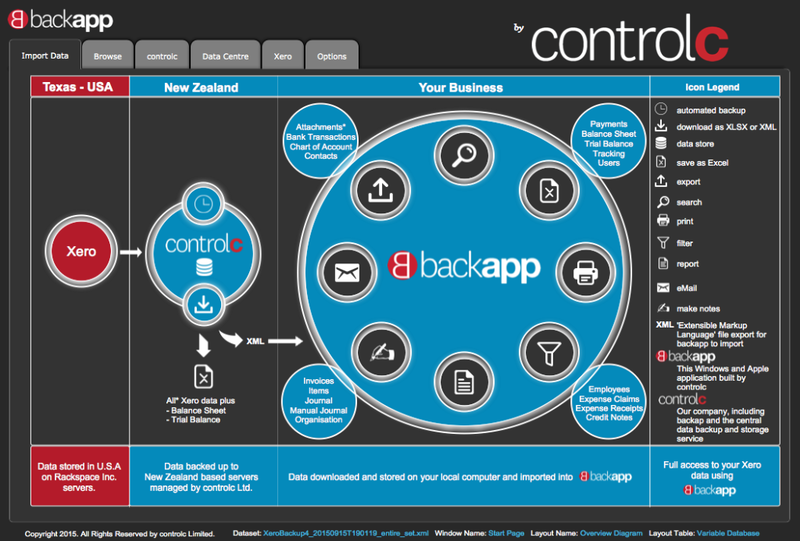 Control C is a 100% New Zealand owned and operated software development company. Its solution enables companies using Xero accounting software to easily back up their precious financial data and have it stored indefinitely in New Zealand Data Centres. This allows users to easily supply their data to NZ IRD if ever required. The Control C backup solution includes a very user friendly app, called backapp, that allows companies to view and search their backed up data, and create user-friendly reports, extending Xero’s comprehensive service. The concept of backing up financial data had been in the back of founder, Campbell Green’s, mind since 2009. With over eight years of experience in starting up and running a successful online data backup and disaster recovery service, he was mindful of his company’s financial records being held in “the cloud”. Hence the idea to localise Xero’s cloud data was born. By 2013, he had developed the core products, had a team around him and Controlc Limited is now in business. Subscribers of the service can now enjoy peace of mind, making Controlc the perfect partner for Xero customers.